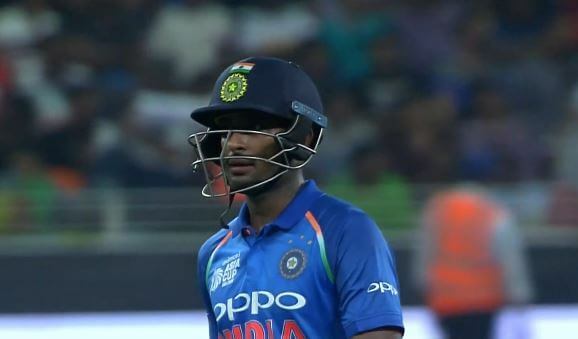 Indian cricketer Ambati Rayudu has been suspended from bowling in international cricket by International Cricket Council (ICC). He was reported for a suspect action in the first ODI against Australia in Sydney earlier this month. ICC had given him 14 days to undergo a test but Rayudu chose not to submit a test. Therefore, he has been suspended from bowling in accordance with clause 4.2 of the ICC regulations. The suspension will remain until he appears for the test and clears it with legal action. However, in accordance with Article 11.5 of the Regulations and with the consent of the Board of Control for Cricket in India, he can bowl in domestic cricket played under BCCI. Indian captain Virat Kohli had brought Ambati Rayudu into the attack in the Sydney ODI on January 13. There was no 6th bowler available in the side and hence, Kohli turned to him. The part-time off-spinner bowled just 2 overs in which he conceded 13 runs without picking up a wicket. He was reported for a suspect action after the game. However, team India and Rayudu may not take the ban seriously. As Rayudu is just a part-time spinner and not that effective either, he may not take any corrective action. He didn’t even opt to undergo the test just shows that it’s not going to matter much. His premier requirement in the team is to bat in the middle-order. Kohli has backed him for the No.4 slot in the line-up for the ODI World Cup 2019. To fill in as the 6th bowler, India has the option of Kedar Jadhav who has done a fine job whenever given a chance. Raidu has become a scapegoat here whereas the testing should be on Aahwin and Bumrah.